Hazel rods normally 25mm – 40mm diameter and pointed at one end. The rods are should be as straight as possible and are driven down through the straw bales to pin and hold them together during construction. 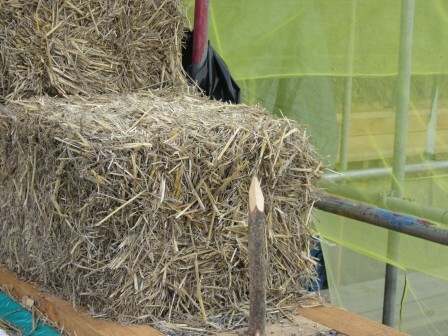 The hazel can be used to secure the roof to the straw bale walls and green hazel is twisted to secure the corners. The length of hazel varies depending on construction detail.